A dramatic reading of a short story by Theodore Sturgeon (1918-1985), one of America's foremost writers of science fiction, for WBAI's Mind's Eye Theatre. Performers are Ann Rivers, Frank Coffee, and Baird Searles. The story is used by the kind permission of the author. 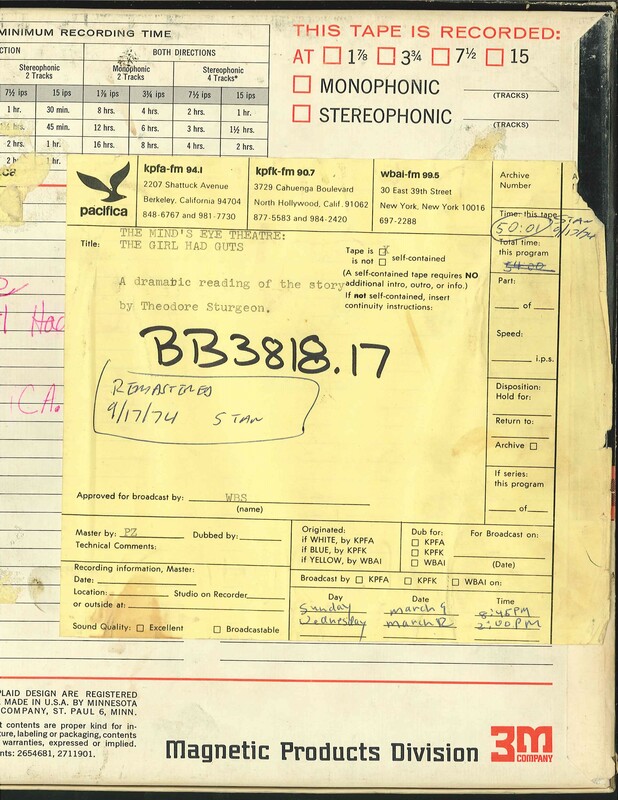 This recording was formerly cataloged as BB3818.17. 1 reel (51 min.) : 7 1/2 ips, mono.